I am a Jersey girl, born and bred. 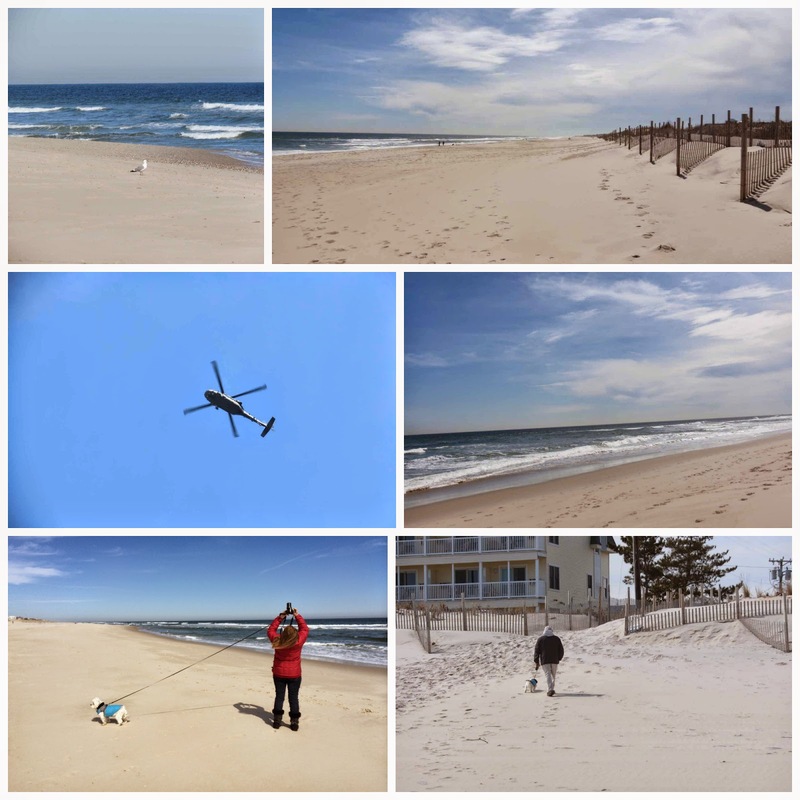 So of course the beach, or as we refer to it, “down the shore” has always been a part of my life. For us to go“ down the shore” we would have to travel at least an hour on the major state highway. 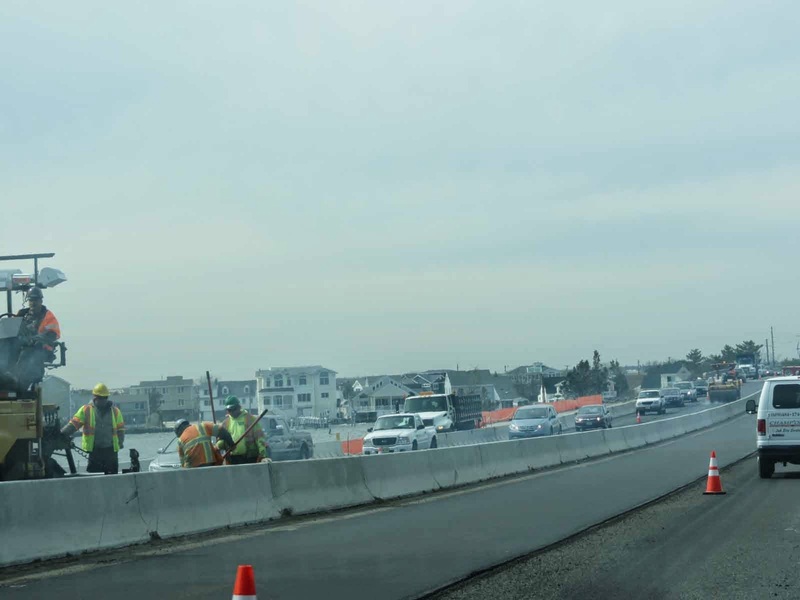 The Garden State Parkway, or more commonly known as just “the parkway”, was and still is a nightmare during the summer. So that hour usually turned into two. They are feverishly working on the bridge. I’m not quite sure what it is they are doing, though. About a dozen years ago, my husband (who by the way is that chauffeur I mentioned in yesterday’s post) and I moved to a town which is a mere 20 minutes from the beach. It’s just over the bridge. And now we don’t have to wait until summer to go to the beach. A benefit of living close to the ocean and of retirement. The beach is not a place we go to relax like we did when we only had that one vacation from work week. We can relax anytime. It’s now a place we go to reinvigorate. It the place we go when there is a chill in the air to take in a deep breath of ocean. We now have the freedom to get there early and leave before noon and have the whole beach to ourselves. It has become the place where we go to reminisce about little giggly voices, wave chases and sand ballets. And I am still in awe each and every time I bow before her Majesty. Thanks for visiting my blog yesterday. I totally understand what you mean about the beach. My parents purchased a house on the south shore of Long Island in the last 60's and we love that house (still have it). Somehow every memory made at the beach/house seems more special than others simply because of the beauty of the place. It’s funny, each year I would this is the last time I’m fighting that traffic to get to the beach. But come summer, we were always there. 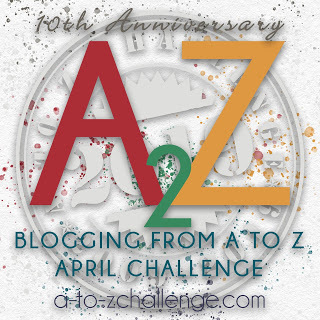 Stopping by on the 2nd day of the #atozchallenge. Know you are going to find new blogging friends. Have fun. As a midwesterner, Lake Michigan is my 'beach.' There is a problem….the lake is East. Living other places in the country I still have trouble with directions with out the lake to guide my way. If you have time or interest, I'm writing about gardens this month. Come visit. Hi Stepheny. Thank you for stopping by. I will be visiting your blog. I’d love to read about gardens. It is pretty there; such a difference from the beaches in Southern California. There is a difference between the beaches in California and New Jersey. Mostly I think it has to do with the temperature of the water, though. You are lucky to live so close to the beach. It's a five hour drive for us to the Oregon coast. We have to make do with the Columbia River. The Columbia River is not too shabby either. It is beautiful! It does take a hold of you, doesn’t it?